SAN FRANCISCO – Walk down the street on garbage day in many towns, and evidence of our love affair with online shopping is plain to see. Recycling bins overflow with boxes from Amazon, eBay, Walmart and others. All those folded and flattened corrugated cardboard boxes are a testament to Americans’ diligent recycling efforts — to a degree. A USA TODAY analysis of several industry studies on cardboard use and recycling paint a different picture.Americans are sending more corrugated cardboard to the landfill than to recycling plants compared to past years. Online sales have surged in the past five years, and cardboard use jumped 8% in the same period, according to the American Forest & Paper Association. Yet cardboard recycling has dropped. Last year, 300,000 fewer tons of corrugated containers were recycled in the USA than in the year before, even as domestic consumption increased 3.5%, according to the AF&PA. Without enough cardboard sent to recycling centers to be used to create new boxes, manufacturers may need more timber. 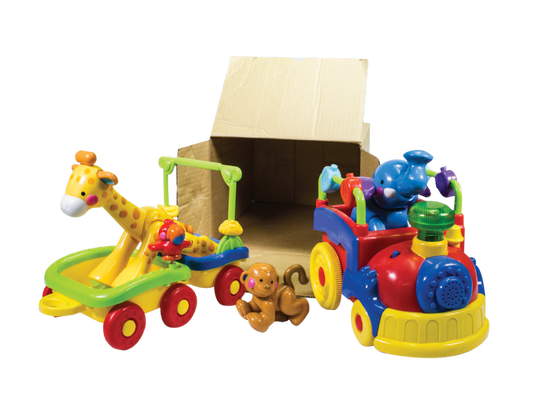 Recycled content and timber each make up about half of what’s in a corrugated box. “We need those boxes to come back. The alternative is trees,” said Bill Moore of Moore & Associates, a paper recycling industry consultant in Atlanta. For all our efforts to flatten, pile and stuff boxes into recycling bins, consumers aren’t that good at recycling cardboard. For years, they didn’t have to be. Many of the cardboard shipping boxes used to go to retail stores. Workers at your local Kmart, Sears or Target would load the flattened boxes into a machine that bound them into bales that the stores could resell for $74 or more a ton. Groceries and big-box stores recycled 90% to 100% of their cardboard, Moore estimated. “Grocery and retail stores have been fantastic partners for us,” said Rachel Kenyon, vice president of the Fibre Box Association. Consumers aren’t as efficient at it. About 40% of Americans either don’t have access to or don’t sign up for curbside recycling, said Betsy Dorn, director of RSE USA, a sustainable-packaging consulting firm in Orlando. Of those who do, few actually recycle all their cardboard, mostly because it’s a hassle. The city of Charlotte asks residents to tear or cut cardboard into small pieces that fit loosely into recycling carts and tells people not to fold it. 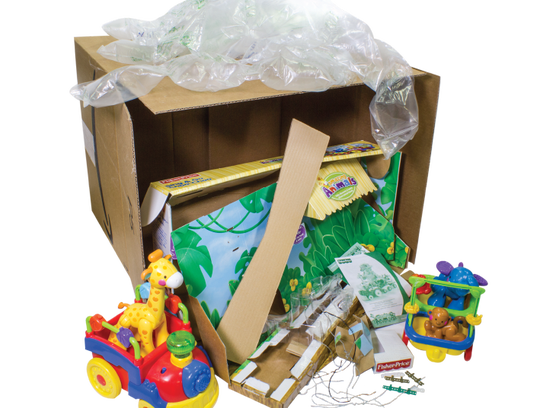 Nationally, consumers send back 25% of their cardboard for reuse, Dorn estimated. “If you have to cut your cardboard up because it’s too big, who’s going to do that?” she said. China — a big buyer of U.S. corrugated boxes — is becoming pickier about what it buys. It will no longer accept bales of cardboard that are contaminated, say a pizza box with a piece of pizza in it. “China has stopped buying, and the recyclers in the United States can’t find enough buyers, so some of that goes to landfill. And that’s not eco-friendly at all,” said Hannah Zhao, a senior economist who follows global recovered-paper markets for RISI, a forestry and paper products consulting firm based in Bedford, Mass. Garbage companies are just beginning to react. 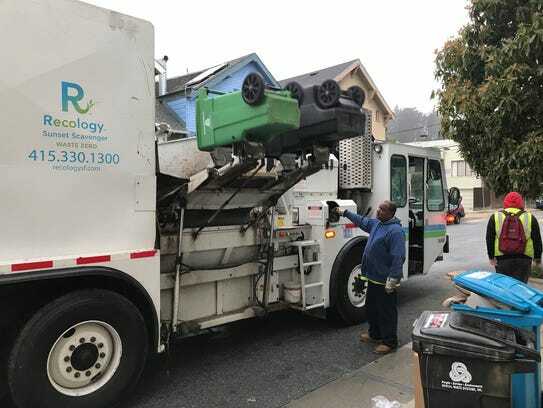 In San Francisco, the waste management company Recology is giving customers new 64-gallon bins to replace the 32-gallon containers because of the increased volume of cardboard. Regular garbage cans shrank by half, to 16 gallons. Last year, the company raised rates 14%, in part to deal with the rapid shift in what residents lug to the curb. Counties in Oregon and Michigan, along with El Paso, Largo, Fla., and Attleboro, Mass., have considered rate increases. Even in the new, bigger bins, the cardboard doesn’t always fit, a common discouragement to household recycling. Children’s book author Emma Bland Smith said she tries to keep mail and online orders at a minimum to keep down waste. Even so, she sometimes has to store paper for a week to wait for space in her recycling bin. Her block has worked out an informal space-sharing arrangement. “We have an understanding with neighbors that you can use someone else’s bin if theirs is not full,” she said. Cardboard box recycling took a turn for the worse during the holiday shopping season in 2016. Usually, waste paper collection centers are flooded with cardboard after Christmas. In January 2017, they didn’t get more. They got less. That period was a turning point for retail America, when the explosion in online shopping spurred by Amazon’s free two-day shipping for Prime members and aggressive strategies by rivals such as Walmart and Target set off wave after wave of retail store closures. Shuttered J.C. Penneys, Sears and Kmarts meant those stores stopped recycling cardboard boxes, which were in the hands of households. Online retailers are dealing with the problem. Ten years ago, Amazon introduced 100% recyclable packing, so products can ship in their original packaging and don’t need to be put in a second box for shipping. That reduced the number of boxes by 500 million over the decade. Walmart increased its number of box sizes from 11 to 27, to use the least amount of cardboard to get something to the customer. Those moves haven’t help improve recycling rates. The problem is expected to become more urgent. E-commerce will make up 25% of all retail sales by 2025, according to ABI Research, suggesting even more boxes could go from doorstep to trash. In the short term, recycling industry experts said, manufacturers could change the production process, for example, by going to dedicated production lines that supply e-tailers only in the Amazon ready-to-ship mode. This reduces the double-boxing problem. “It’s just a question of how long does it take to correct and for the markets to adjust to the new reality that e-commerce is here to stay,” said Kenneth Waghorne, a packaging analyst with RISI. Bridget O’Neill of San Francisco said she tries to forgo the recycling bin entirely when possible, in part because Amazon uses paper packing tape to seal its boxes. That allows her to put that cardboard to the greenest of uses. “I can flatten those boxes and put them in with my compost,” she said.